Get all the convenience of traditional water heaters while eliminating traditional costs, emissions and hassles. 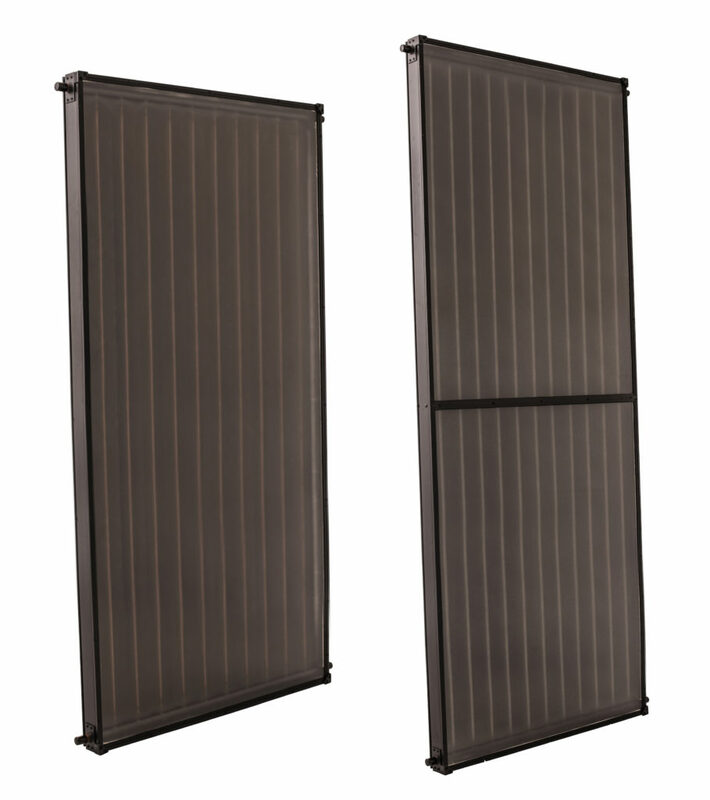 Solene’s cutting-edge solar-thermal technology gives you immediate savings on your monthly power bill. Federal tax credits and state and utility incentives mean even bigger savings on your investment. Solene systems are maintenance-free and long-lasting so you can reap the rewards and make a positive environmental impact for years to come. 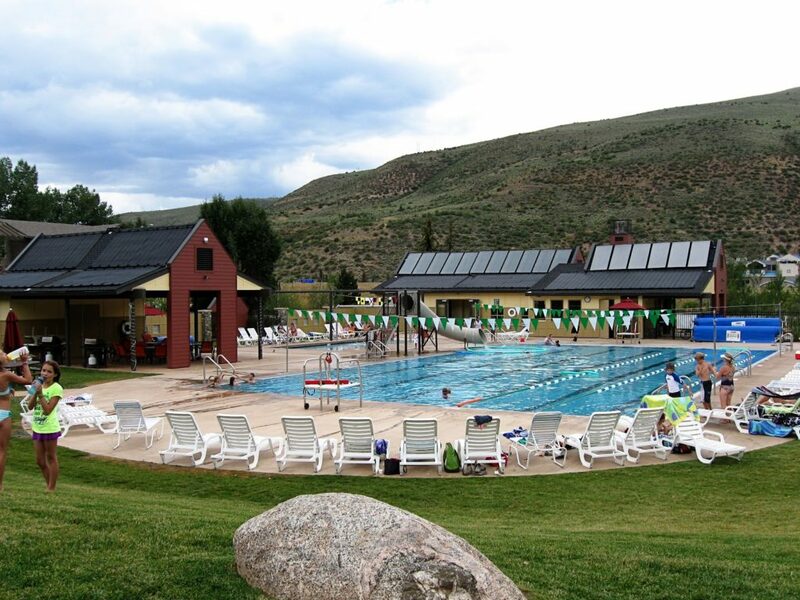 Solene systems are backed by a 10-year limited warranty and manufactured in the USA. Rheem, based in Atlanta, GA, is the largest manufacturer of water heating products in North America and has been in business since 1925. 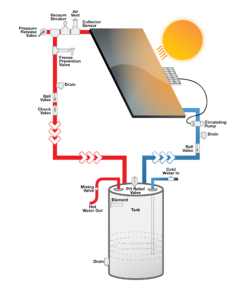 Solene offers Rheem solar storage tanks in 80- and 120-gallon options. 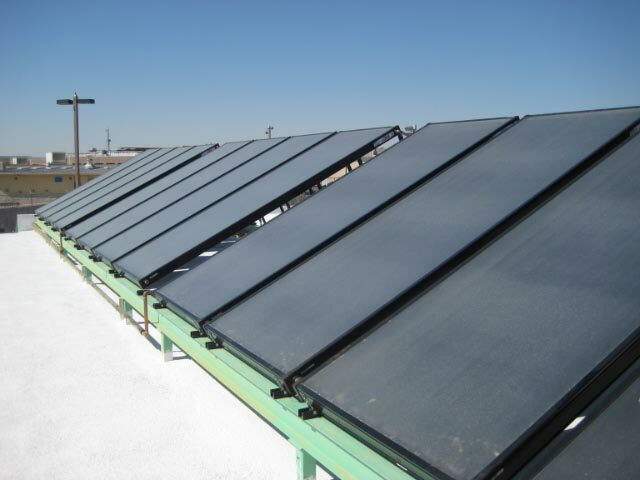 In addition, heat exchange and non-heat exchange solar storage tanks are available. 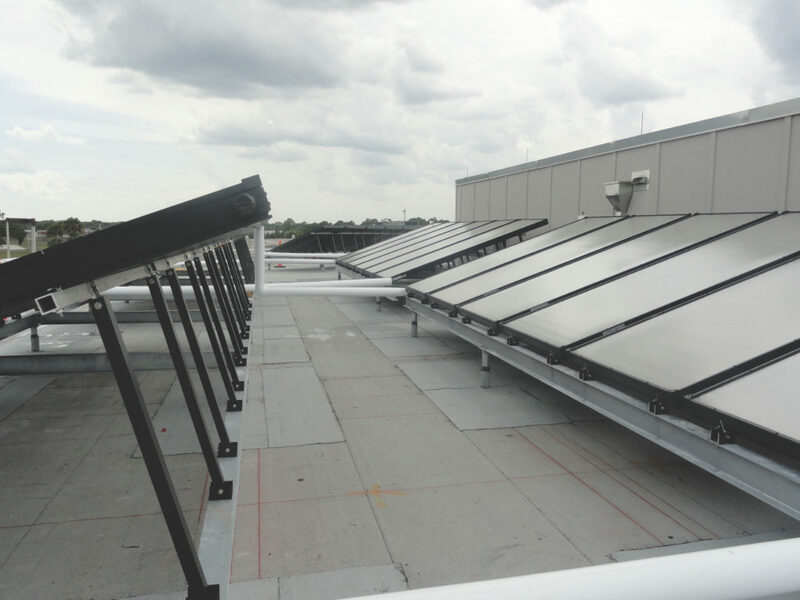 Solene’s manufacturer and distributor, UMA Solar, is also the exclusive solar tank distributor for Rheem in the state of Florida. Grundfos is a global leader in advanced pump solutions and a trendsetter in water technology. Founded in 1945, they are based in Denmark and make products and solutions that help their customers save natural resources and reduce climate impact. Solene also offers a variety of high-quality circulation pumps for commercial and/or residential solar hot water systems. 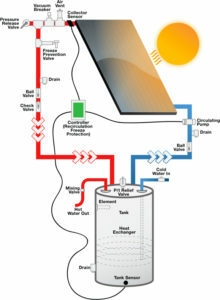 Solene provides a variety of solar controller options available for commercial and residential solar hot water systems. Some select models of Steca controllers offer BTU monitoring and SD card monitoring. Steca has been in business since 1976, is based in Germany and manufactures a variety of high-end electronics. 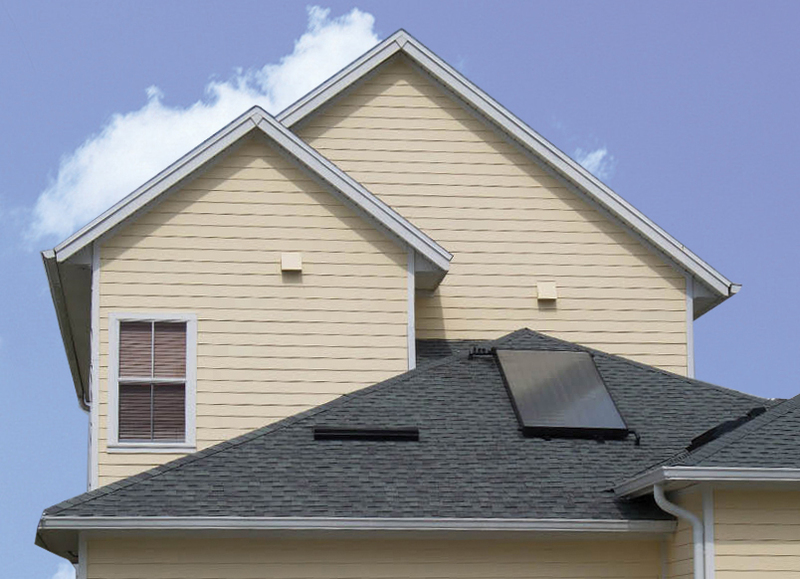 The direct pumped system has one or more solar energy collectors installed on the roof and a storage tank somewhere below (usually in a garage or utility room). A pump circulates the water from the tank to the collectors and back again. 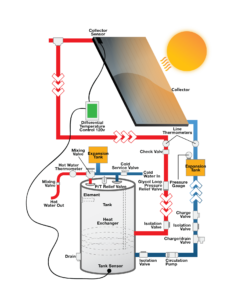 This is called a direct (open loop) system because the sun’s heat is transferred directly to the potable water circulating through the collector tubing and storage tank; no anti-freeze solution or heat exchanger is involved. 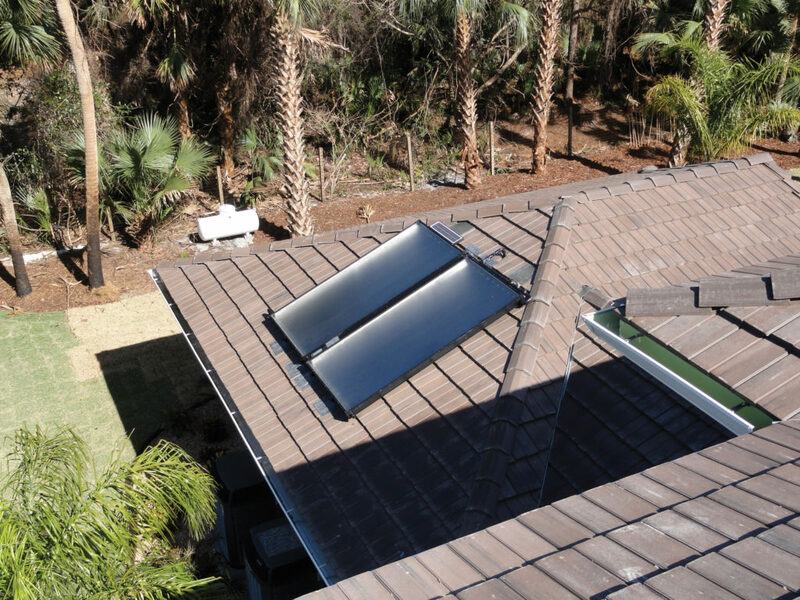 Same as the Direct Open Loop, this system includes a photovoltaic cell that senses when there is enough solar insolation available to heat the home’s water. The PV cell powers a DC pump which circulates the water from the storage tank to the collector. A closed-loop system design is common in northern climates, where freezing occurs more frequently. 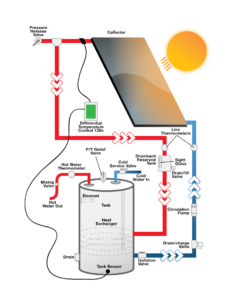 An FDA approved heat exchange solution circulates through the collector, and a heat exchanger transfers the heat from the solution to the tank water. Generally, if the heat exchanger is installed in the storage tank, it should be in the lower half of the tank. A fail-safe method of ensuring that collectors and collector loop piping never freeze is to remove all water from the collectors and piping when the system is not collecting heat. This is a major feature of the drain-back system. Freeze protection is provided when the system is in the drain mode. Water in the collectors and exposed piping drains into the insulated drain-back reservoir tank each time the pump shuts off.